We’ve been building log cabins for over 40 years and and we’ve learned a lot about this subject. 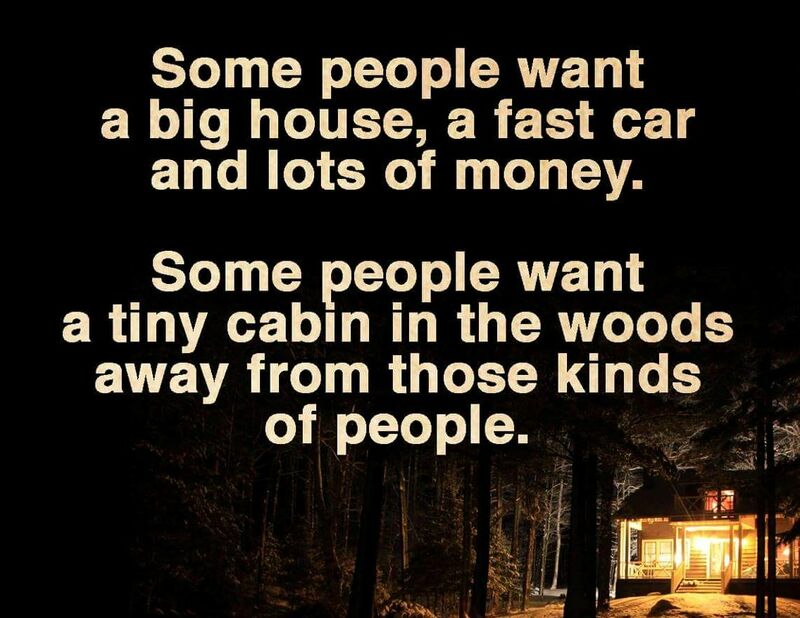 It’s not quite that simple: there are all kinds of “cabins” and very nice people live in houses of every size! 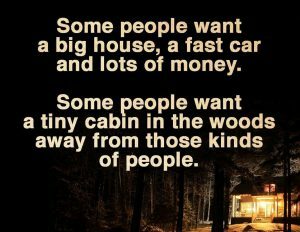 Still, judging by the popularity of this catchy “meme” a lot of you dream of escaping to a cabin in the woods…and we don’t blame you at all because we did it ourselves! 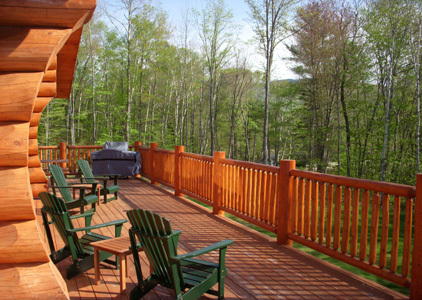 Cabin life appeals to many because it reminds us of enjoying simple activities with people we love. You probably remember vacations at a cabin where you spent sunny days fishing, swimming or canoeing and rainy afternoons reading a book or playing cards beside a battery operated stereo. Evenings were spent around a fire sharing songs and laughter or quietly watching the flames. You dreaded that late night walk to the outhouse when you listened for bears in the dark. You couldn’t believe how many stars there were! You fell asleep to the sound of crickets or frogs and woke to hear loons. You wished those days at the cabin would never end! But you returned to school and to work, moved where your jobs took you and sometimes ended up in suburban neighbourhoods packed full of obligations. 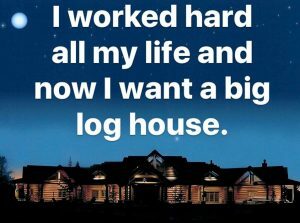 No surprise, then, that we imagine going back to cabin life. 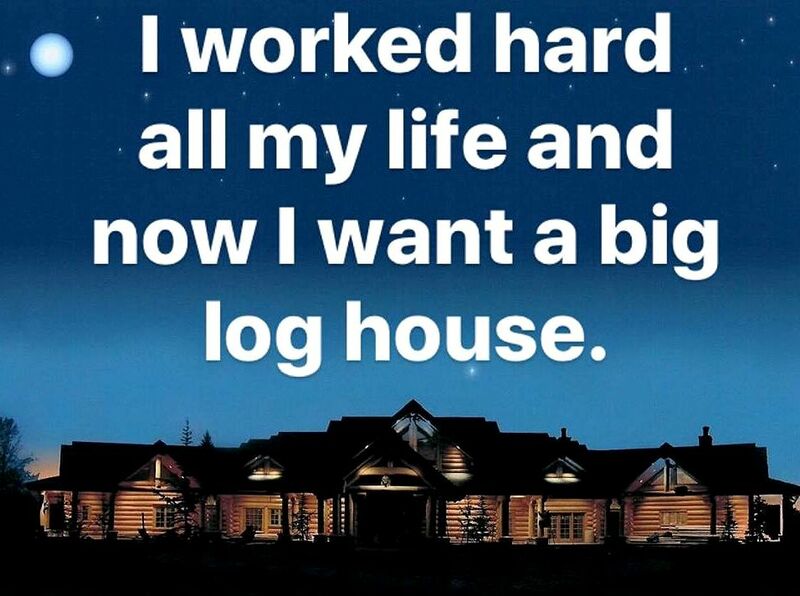 Some people dream about owning that log cabin in the woods. Others are actually planning to build it! 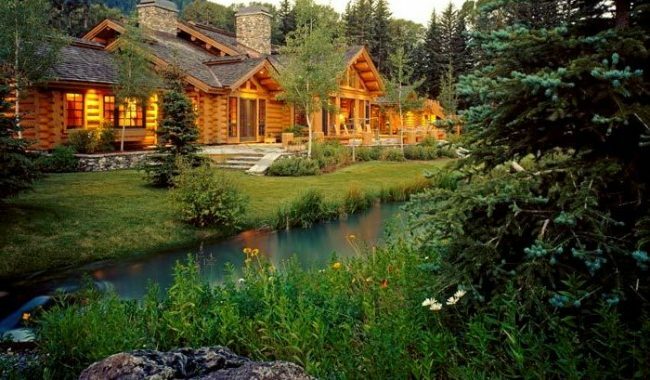 Whether you need an occasional escape from city life, or you’re planning a complete lifestyle overhaul, you could be one of those people with your own log cabin. We build for all budgets! If you’ve decided to scale back to a simpler life in an off-grid setting, we can promise you a small log fortress that will shelter you from the elements, wildlife, and the outside world. We’ll never skimp on quality no matter what your floor space! Log cabins come in all sizes, and each of our handcrafted log homes includes the same large scale premium Douglas Fir or Western Red Cedar logs, the same careful craftsmanship and attention to detail. You choose the land to build it on. You choose the classic look of round logs or the heritage dovetail design. You choose (or custom design) a floor plan that fits your life. One person’s idea of a “cabin” might be compact and efficient…and the whole thing might fit into the master bedroom of the next client’s “log cabin.” Either way, your log cabin offers a return to authentic, handmade quality, rugged durability, character and charm. The size and features are up to you!